Manan has diverse and rich work experience of over 20+ years in various industries across multiple disciplines. At VOLANSYS, as a CEO and Founder, Manan is responsible for defining business strategies and company’s overall direction, engineering function, technology management, talent nurturing and leadership enabling & team building. His expertise lies in identifying optimum technologies for solutions, architecture, and design of solutions encompassing complete life cycle in the areas of audio / Video and Convergence, Web based technologies, Renewable Energy, Consumer Electronics, Streaming Media & Surveillance Systems. During his last tenure, Manan held technology leadership roles in one of India’s leading Electronic Design Services Companies. As a founding team member, he grew the company to 700+ people with revenue in excess of USD 18M. He established and grew the Embedded Division to 300+ team members with revenues exceeding USD 8M+ in three years. He was instrumental in building Streaming Media and Surveillance practices. Manan holds Bachelor Degree in Computer Engineering from Gujarat University, INDIA. 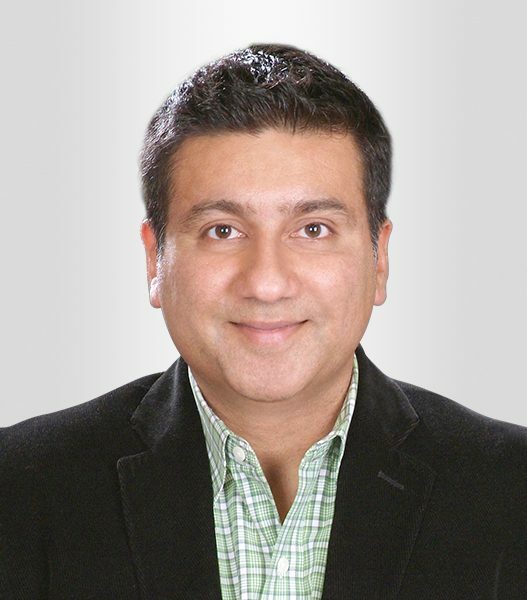 Bhavin has over 20+ years of industry experience working on cutting-edge technologies. 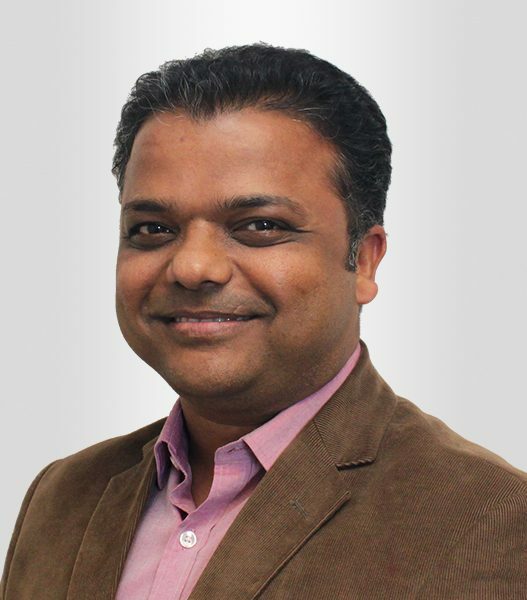 At VOLANSYS, as a founder and an executive vice president for sales, Bhavin is responsible for business analysis, sales and business development, and strategic client relationships. He is responsible for new revenue generation along with focus on delivering profitable business. 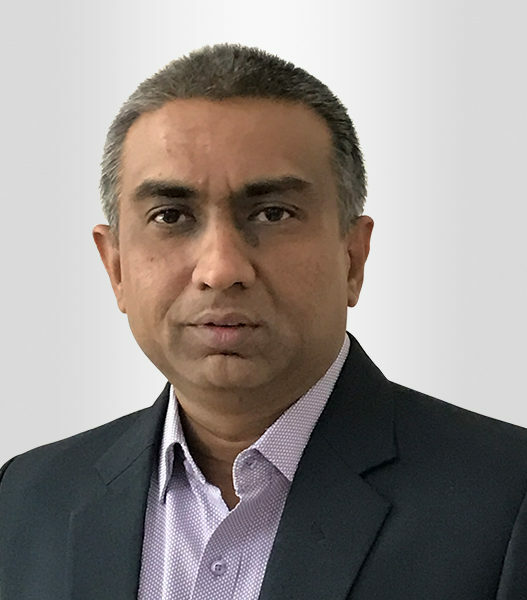 Prior to VOLANSYS, he held leadership role in Fixed Mobile Convergence (FMC) based product company and one of India’s leading electronic design services companies. He efficiently led India development center to design and deliver customized product based on customer requirements and handled customer engagements. During is his tenure, he grew embedded division of India’s leading electronic design services company from 25 to 250 people team and increased the revenue generation channels. He holds an extensive experience on Silicon Platform Services, Consumer Electronics, Media Streaming, and Security Surveillance Systems from Concept to Prototype Development, BSP Porting, Driver Development, Audio/Video Algorithm Optimization and Application Development. He has successfully executed multi-million USD businesses. He was also involved in Build Operate Transfer (BOT), multi-year, multi-projects engagements. Bhavin holds bachelor’s degree in electrical engineering. 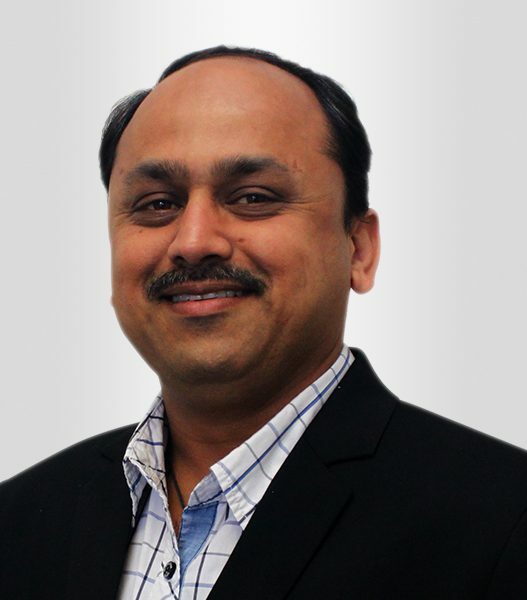 Dhruvesh has 20+ years of diverse experience building Embedded Software and Systems for IoT, Multimedia, Networking, Wireless, Semiconductor, Telecom and Industrial Automation products. 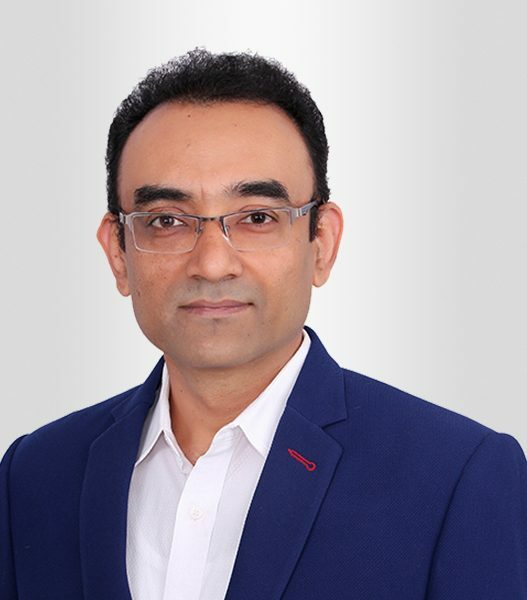 At VOLANSYS, as Chief Technology Officer, Dhruvesh is responsible for steering business towards new technologies, formulating robust technology-centric business strategies, and leveraging technical innovations to address complex challenges. 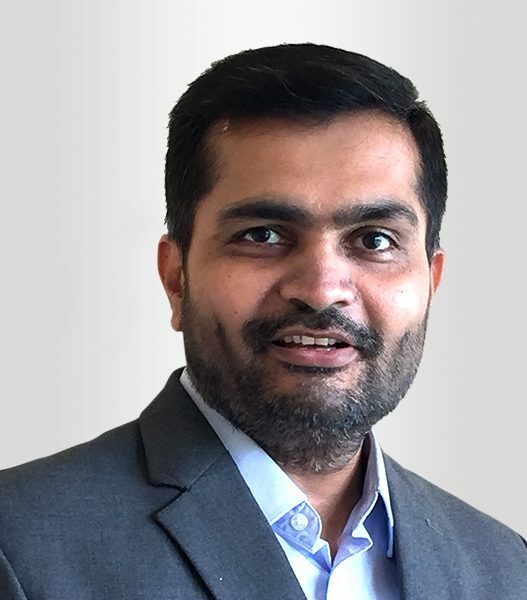 Dhruvesh has held variety of senior leadership roles in both, technology and management since 2001 and has served global markets including U.S., Europe, Asia Pacific and India. He has worked with large corporations, as well as SME’s and start-up and has been endorsed for bringing to the table discrete solutions. His passion lies in envisaging cross-domain technology applications that open up diverse avenues for business and is adept at implementing those. Driven by this passion, Dhruvesh founded Xzadium Technologies in 2013, a Product Design & Services company offering broad-based engineering services using a variety of client-partnership models for delivery. Within a span of 2 years, Xzadium gained the reputation of a trusted partner especially among small and medium-sized product companies for covering entire product life cycle as well as its sustenance. Dhruvesh holds a master’s degree from IIT, Delhi, one of the most prestigious platforms for thinkers, innovators and learners alike. 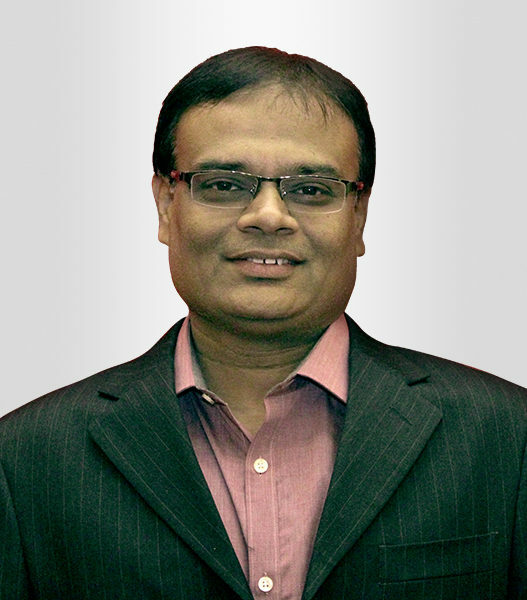 Samir has 20+ years of project execution experience in various technologies and industries. At VOLANSYS, as Director of Presales, Samir is responsible for pre-sales, successful execution of software projects, mentoring, training, and technical recruitment. 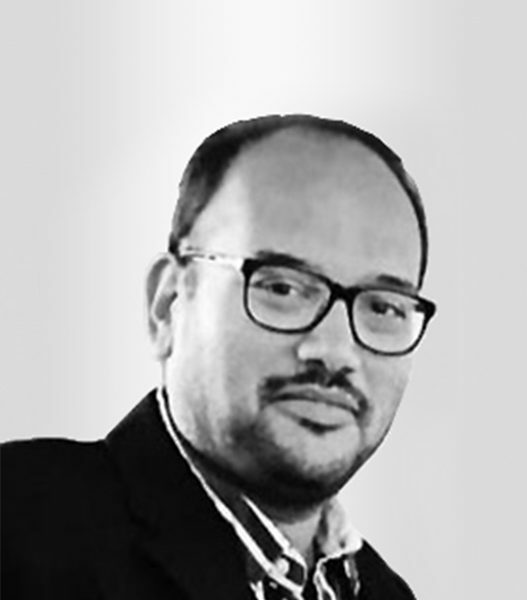 Samir has experience of working in different industries including semiconductor, consumer electronics, networking, aviation, mobile & collaboration software. He has developed software & embedded systems on various platforms like X86, ARM, MIPS & PowerPC. His experience includes complete software development life cycle (SDLC) involving business logic, requirement, design, development, porting, validation and sustenance of products. He specializes in the pre & post validation of silicon. He has managed client projects of varying team sizes. He was a key member in implementing CMMi certification during his previous tenure. He was instrumental in bridging the gaps across various teams such as ASIC and embedded, software and board design, embedded and application for the success of the project. Samir holds a Bachelor’s degree in Computer engineering from Gujarat University, INDIA. Dhaval has 20+ years of diverse & rich experience in electronic product design. At VOLANSYS, as Director of Engineering, Dhaval is responsible for defining product roadmaps, designing products, productization & providing technical solutions. Dhaval’s expertise lies in high-speed board design & system partitioning. He has successfully delivered more than 50 products in his professional career using various platforms from semiconductor giants like TI, Freescale, Intel, AMD, Broadcom, Qualcomm, Samsung, etc. He has designed multiprocessor high-speed boards in the domains of video, multimedia, networking, consumer electronics, avionics. His thorough experience in product development lifecycle has helped customers in mechanical design, thermal & signal integrity analysis as well as product certifications. He headed the systems & board design group during his past tenure where he established & grew the embedded division. Dhaval holds a Bachelor’s degree in Electronics & communications engineering from Gujarat University, INDIA. Parthiv has 20+ years of diverse experience in the field of Networking, Wireless, Telecom and IoT related Embedded product and solutions engineering. At VOLANSYS, as Chief Solution Architect, Parthiv is primarily responsible for understanding client requirements, pain points and enable, architect cost-effective solution per their business need. He is also instrumental in defining roadmap for charting into new technological innovations at VOLANSYS for building IPs that can be leveraged in multiple solutions. Parthiv is passionate about building and leading teams of highly motivated creative professionals in the field of Embedded product solutions and creating easy to use, first in its class IPs. He gets involved in defining, evolving and refining strategies and road map for upcoming technology trends and building successful products / IPs and solutions for customers. In past, he has built and led teams being Director and India head for Embedded and ASIC chip design and verification BUs. He has played strategic planning, engineering planning, technology charter and mentor role for leadership team for ASIC and Embedded Software BUs. Parthiv holds Bachelor’s degree in Electronics & Communications Engineering from Bhavnagar University, India. Param has 16+ years of experience in driving customer focused enterprise software products growth. He is proficient at leading and building teams and maximizing business opportunities that balance high level strategy with ground-level execution while maintaining steadfast focus on technical competency. He has been a key catalyst leader in introducing disruptive product portfolios that successfully drove multi-billion-dollar revenue and strategic OEM opportunities at companies like Citrix, VMware, Wyse (acquired by Dell) and Dell. Param is a US patent holder. His educational qualifications include a MBA in International Business from the University of Miami, a Master’s degree in Computer Science from the University of Florida and a Bachelor’s degree in Computer Science from Gujarat University, India. He has also participated in executive training at the Stanford University Executive Institute in Palo Alto, California. He is also an investor in early stage start-ups focusing on Infrastructure Technologies, Internet & Consumer, Mobile Software and Cloud-Enabled Services. Ullas has 20+ year of experience in field of international taxation, transfer pricing, IFRS consulting. Ullas is a commerce graduate and a fellow member of Institute of Chartered Accountants of India. He is also a Certified Public Accountant (AICPA-USA). Presently, he is associated with a renowned auditing firm. Apart from conventional areas of professional practice, he is also involved in nonconventional aspects of advisory and assurance like merger and amalgamations, system audits, risk management, valuation etc. Ullas holds degree of CA from ICAI-INDIA and CPA from AICPA-USA.